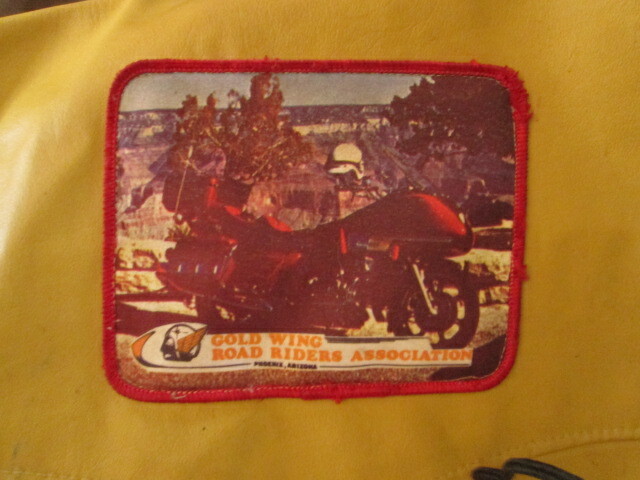 I am a member of the GWRRA and have been since 2006. I served as the Chapter Educator for 5 years, 2007-2012. As Chapter Educator, you are required to give at least a 5 minute discussion on motorcycle safety at every chapter meeting and write an article on motorcycle safety once a month for the chapter newsletter. I always researched the topic before presenting it. I never stood in front of the chapter and lectured about safety topic but I would bring up the desired the safety topic and give a small thoughts on the topic then open up of discussion among the chapter members. We all learned together,some may know something better than me. I haven taken lots of safety courses and I have actually even became one that gives the safety courses. That is one of the benefits of the GWRRA, is they promote safety. You do not have to participate in the "Levels" program. But the "Levels" program is all about safety. So why wouldn't you want to? Don't we all want to be better and safer riders? I have been riding for 34 years, and I feel like I am still learning. I am now working on getting my riders coach certificate from the State of Texas to be able to give BRC, ARC, and ERC courses. The GWRRA is a non-profit organization a 501(c)4. Any chapter money raised must be spent and a chapter can only carry over several hundreds of dollars to the next year. The chapter I am with, Tx-P, we donate any excess money to a worthy organization around Christmas time. Sometimes, it could be a food bank, or shelters to help homeless people. We all know this and we make a group decision as to how the excess money is spent. To me, the GWRRA gives you what you put into in it. Yes, there may be some clickish chapters, but that's not the organization's stance. The motto of the GWRRA motto is "Fun, Safety, and Knowledge". No, we cannot discuss religion or politics at chapter meetings because those are subjects that has many different view points and can cause trouble. No, we cannot discuss religion or politics at chapter meetings because those are subjects that has many different view points and can cause trouble. That is the reason I decided not to join. Figured I'd just get myself kicked out. Those subjects always come up around me. I enjoy the stories about the gold book. No, even worse. From newspaper reporters. We have Nassir 9 coming up in July in Sioux Falls, SD. I just checked the Gold Book and Sioux Falls has 16 members in the Gold Book and 10 others in small towns close by Sioux Falls. As the trip gets closer, I might give those members a call and let them know about this forum and our Sioux Falls plans. Some more local area participation might be good. 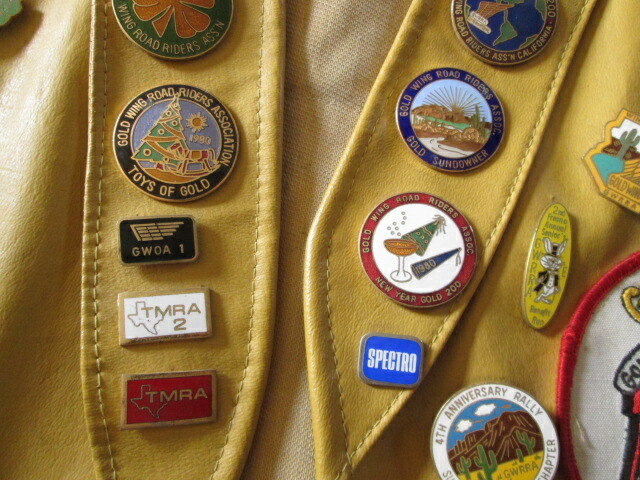 I've been a member for awhile except for a break between 1991 and 2013 while I was raising kids. The organization has changed a whole lot during my prolonged absence. I was the forming chapter director for chapters started in Vicksburg, ms and Charlotte, nc. I was an area representative in North Carolina. Back then we had fun, shared tips and rode our bikes. It truly used to be lots of fun. It was about the bike and rides. I went to a chapter formation meeting in Southern Utah a while back. All I heard was "I'm a Level blah blah blah rider and I've done blah blah blah." I left the meeting disgusted. When the focus goes back to fun and riding and the bike I may be back. Until then I will pay my dues for Wing World. Last edited by Apatz; 12-06-2015 at 11:49 PM. Chapters are fluid. Join in and you'll most likely meet a few like-minded, fun loving members. Such sub-groups can grow and turn a club around in a very short period of time. You don't have to be wearing a directors pin to lead. the_davidt, LarryInSeattle, JeffMayfield and 1 others like this. I am fortunate to live in a large metropolitan area with 4 chapters within a 100 miles of riding distance. I am currently following the chapter websites for 3 of them and my plan is to start attending those 3 chapters and see what the different flavor is. Eventually, I see myself riding regularly with one or two of them and on occasion, joining the other two chapters on special events that provide free food, campouts or dancing girls. I've been riding since about 1972, started on a '70 Norton 750. Then came a Trident, life, jobs, school, basic, career, marriage ..... no kids yet .... then in 1995 "Wife Unit" accepted a ride on back of a buddies tourer as we were out on a ride .... she liked that better than the back of our '74 Trident (I know, makes no sense to me neither) so I started looking and August 1995 found a '85 GL1200A that had been owned and garaged and ridden through two POs, both of whom were agents in my Dept and one of whom who had trooped his early days with my riding buddy. Like extended family. We bought it based on a phone call, pulled a trailer across state to pick up. 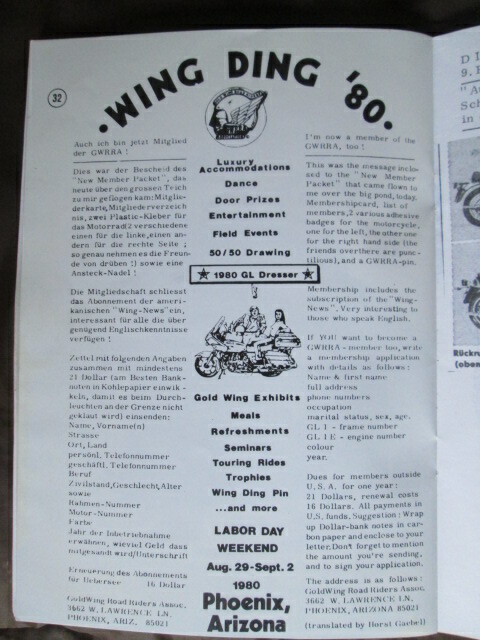 Then .... we started looking for more further longer ride opportunities and I soon learned about GWRRA and "Wing World", I had no PC. I joined for the magazine in Dec 1995. Through and into early 1997 I either rode just us two or with my buddy, he was also my work supervisor. May 1997 saw this bunch of GLs at Staunton Mall, then it was open walkways. It was a "Mall Show". New Chapter VA-R meet and greet. Soon I started getting hand written newsletters with invites to meetings each month so then .... we started attending .... then we started going on rides ..... and my HD riding buddy and his wife joined us on these chapter rides ..... THIS WAS FUN. 2001 I got a call about being CE .... took that on until 2006, became ACD, then a couple short months later, CD through 2011, since then I've dropped back some, did the MEC deal, am WM and RC now, ..... and through it all met and made "from-then-on" life long friends, some of whom we have lost sad to say due to illness, but not forgotten while others we've seen just stop coming as their life took them down a different path for whatever reason, but all of them have been a lot of FUN. It's a good hour's ride / drive to any chapter meeting, staff meeting, most dinners, and many ride start points .... I've burnt a lot of gas just getting there ..... but that's OK. This weekend Saturday was our Christmas Party .... and then Sunday, our regular meeting (yeah, might could have spread those two out a week apart). Anyway, joined it for the magazine back in the day, now I hardly spend more than an hour a month on the magazine. But I recall the rides, the meals, the parties, the picnics, the jokes, the learning, the evenings spent on a patio with friends in the cool night air with a fire pit for heat knowing that there was a dark & very cool 1-1/2 hour ride home and work the next AM at zero dark thirty .... Yeah ..... I've more than gotten my dues worth out of my GWRRA membership dues. 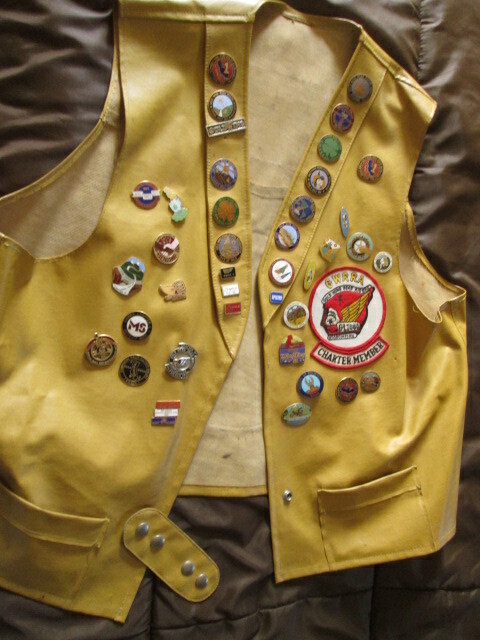 Just today I got my "Life Membership" cards and patches for "Wife Unit" and my vests .... 20 years. Thank you for sharing your GWRRA story. It is a positive experience, not a "I don't care for that crap" story. My hope is that there will be many more successful stories written here.